The staff at Family Eye Care of NEPA is one of the best!! We continually hear how friendly and accommodating our staff is. We understand that a doctorsâ€™ office can be a stressful place, but rest assured, OUR STAFF IS HERE FOR YOU!!! They are fully trained and will be more than happy to assist you with anything from scheduling an appointment, to picking out	eye wear, to submitting insurance claims. 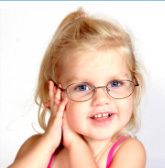 Our optometric technicians will guide you through the examination process, answering questions you may have, performing special testing, and even helping you choose a frame. Dr. Frank Dzwieleski has been practicing optometry in Honesdale since 1991. He is a graduate of the University of Scranton with a Bachelor of Science degree and the Pennsylvania College of Optometry where he obtained a Bachelor's degree in Visual Science as well as a Doctorate degree of Optometry. Dr. Dzwieleski participates in the preceptor program from the Pennsylvania College of Optometry training fourth year interns in patient care. Dr. Dzwieleski offers a full range of optometric expertise including ocular disease assessment and treatment, contact lens fitting, and vision rehabilitation. Dr. Dzwieleski resides in Honesdale with his wife Megan and his children Frank Jr. and Hannah. 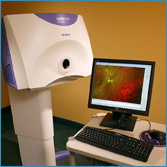 Dr. Corso joined the professional staff of Family Eye Care of N.E.PA in July of 2005. He is a graduate of Bloomsburg University where he earned a B.S. in Biology and the Pennsylvania College of Optometry where he earned a B.S. in visual science and a Doctorate in Optometry. As an associate of Family Eye Care of N.E.PA, Dr. Corso practices full scope optometry, low vision rehabilitation, and orthokeratology. He provides care at local nursing homes, and is on call 24 hours a day along with Dr. Dzwieleski Dr. Corso is a Captain in the Air Force Reserve serving as an optometrist at McGuire AFB. He is a member of the American Optometric Association, the Pennsylvania Optometric Association, and the Armed Forces Optometric Association. He resides in Honesdale, PA with his wife Paige, and son Ethan.